I'm speaking at the Girls in Tech Power Femme Roundup put on by Adriana Gascoigne. Webguild sent out a very disturbing email this morning, saying that because they held evening events named "The Future of Web Apps" (also a Carson company conference series event name) and "Web 20 Conference and Expo" (also an OReilly conference series event name) that Google had ceased to sponsor or host the WebGuild events. WebGuild's post is here: called "Shame on You Tim OReilly." I read it, and found it disconcerting, because if true, it implies that OReilly (not Carson) went to Google, instead of approaching Webguild directly, and used its "old boy's network" to get Google to pull support, because of the naming conflicts. From the outside, this does sound disturbing, but I'm reserving judgment until I see answers to a few questions. First, I agree with Michael Slater above that it's strange to name your evening event after The Future of Web Apps conference (not an OReilly event, but rather a Carson event) and your conference after the Web 20 Conference and Expo which is an OReilly event. Why not change the names a bit, to avoid confusion in the marketplace (the point of trademarks)? Second, I don't think OReilly sued IT@Cork but rather sent them a Cease and Desist letter. I think you should correct your post as such. They subsequently worked things out, without a lawsuit. Did OReilly and Carson contact you directly about the naming conflict? You don't say in your post but that's a very important point. Lastly, I don't think you help your argument by conflating the "old boy network" as you call it, with your issue, which is that Trademark holders went around you to your sponsors to put pressure on you. Pls let us know the answers to help us understand more about what's happened. Note that the Michael Slater comment is now missing(note: Slater did a post on the missing comment and issues here) (as is mine now.. a few minutes after it was briefly posted) from the WebGuild post, which was legitimate but negative, suggesting that it was really strange to name *two* events after two other conferences. Other later comments are there. For a while, they didn't post mine, but now it's up, listed before others that appeared before it in the list. Anyway, I have to say, based upon seeing the Slater comment disappear, and now mine, they just lost a lot of points. I've attended their events in the past, but now I'm not so sure I would go, or sympathize with their issues. I'd really like answers to the questions I wrote, so that I can make up my own mind about what they are doing. But getting lots of people to blog negatively about Tim isn't the answer here. We need better community solutions than that for solving IP issues and community confusion for naming issues with events. 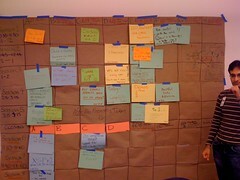 Updated: Techcrunch wrote about this same topic Jan 1, 2008 which gives more background on Webguild. 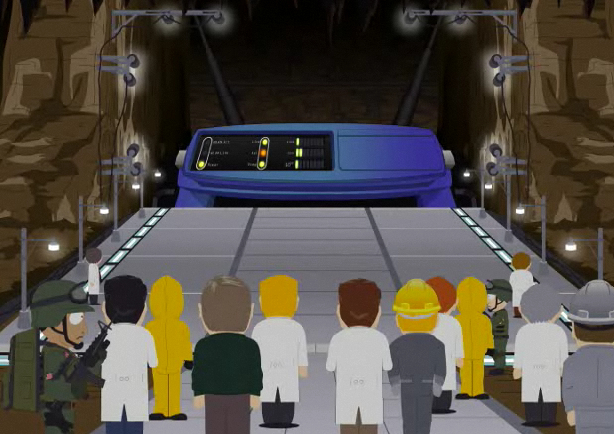 Hilarious South Park episode on losing access to your drug of choice: the internets. Note the giant Linksys router is the placeholder for the whole internet. Funny. Go watch it. It is rare for all five members of the Federal Communications Commission to leave Washington, D.C., and they want to hear from you. 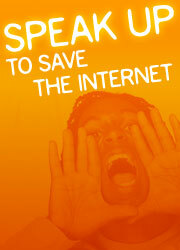 There will be a public comment period - come speak up to save the Internet! (471 Lagunita Drive, Palo Alto, CA) Map It! Note also that Comcast is proposing a "P2P Bill of Rights and Responsibilities" according to ArsTechnica, who is skeptical. Don't see any users in that room, but if they don't invite us, I'd guess after Boston, we'd all get pretty mad and force them to include us. Either way, (FCC or voluntary code) I think it's going to be user centric in the end. We're just going to have to fight like hell. Kevin Marks also makes a great point about Comcast: They are like The Producers who oversold their Broadway show, assuming it would fail, by getting 100 people to buy 10% of the who. Comcast, by overselling their network for internet access is doing the same, and then having secret levels above which they cut people off out of the blue, is pretty bad.